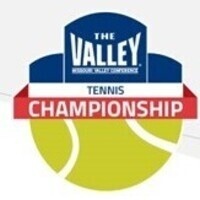 The 2019 MVC Women's Tennis Team Championship will be in Cedar Falls, Iowa, and UNI will serve as host. All matches will be played at the newly constructed UNI Tennis Complex, which features nine courts and is located on campus. The UNI Tennis Complex support academic classes, intramural, club and team opportunities for play. While serving university uses, the complex also have been an important facility for the City of Cedar Falls Recreation Programs. It marks the first time UNI has served as the spring host to the MVC championship event.